Elmont, NY - November 8, 2018 - Thanksgiving is one of the most joyous times of the year, a time when friends and family gather together in celebration. The Elmont Fire Department offers some simple advice and tips to help residents stay safe during the holiday. 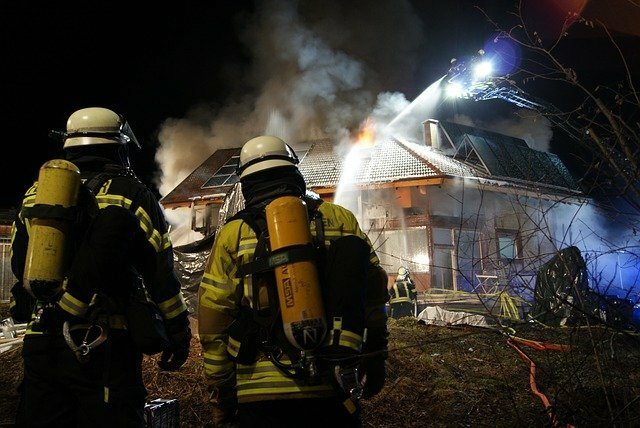 According to the National Fire Protection Association (NFPA), in 2015, fire departments in the United States responded to an estimated 1,760 home cooking fires on Thanksgiving, making it the busiest such day of the year. Unattended cooking is by far the leading cause of home fire deaths and injuries. Unattended Cooking - the leading cause of fires in the kitchen: Stay in the kitchen while you are frying, grilling, or broiling food. If you leave the kitchen for even a short time, turn off the stove. If you are simmering, baking, roasting, or boiling food, check it regularly. Remain in the home while food is cooking and use a timer to remind yourself that you are cooking, as guests, phones, children, pets and other activity can easily distract a cook. Objects near the cooking catching fire: Clothing ignitions lead to approximately 16 percent of home cooking fire deaths. It is important to wear short, close-fitting, or tightly rolled sleeves as loose clothing can dangle onto stove burners or gas flames and catch fire. Keep the cooking area clean and combustible materials away from your stove top: built-up grease as well as oven mitts, food packaging, wooden utensils, towels, curtains and other materials on or near the stove can catch fire. Also, never fry a frozen turkey. Please click here for more information from the NFPA and a video demonstrating how dangerous this is. Please visit the NFPA’s website, www.nfpa.org, for more information on fire safety. Established in 1928, the Elmont Volunteer Fire District has over 150 volunteer members serving the community as firefighters and emergency response personnel. One of the most diverse departments on Long Island, the Department’s tradition is “Neighbors Helping Neighbors”. To learn about joining the Elmont Fire Department, please call 516-354-4560. Subject: LongIsland.com - Your Name sent you Article details of "Elmont Fire Department Offers Tips for a Happy, Safe Thanksgiving"